Question: How long does it take to get your tax refund after you file Canadian income tax? How long it takes to get your tax return back depends on when and how you filed your Canadian income tax return. Canadian income tax returns that are filed electronically are processed faster, often within as few as eight business days. The CRA also says that if you choose to use direct deposit, you could get your refund faster. However, realistically, you can't expect a Canadian tax refund before March at the earliest, even if you filed your tax return in January, because the Canada Revenue Agency doesn't start processing income tax returns until mid-February. My Account - usable for individual tax returns (which includes sole proprietorships and partnerships). From a web browser you can view the status of your return, your notice of assessment, modify your return, enter/edit direct deposit information, make payments, get information on your RRSP and TFSA accounts, submit documents, update your contact information, and more. From a mobile device using the MyCRA application (for individual tax returns). MyCRA allows you to view the status of your return and your notice of assessment, your RRSP/TFSA contribution limits, manage direct deposits, and update your contact information. My Business Account (for corporate tax returns) - From a browser you can file, view, and check the status of your return. 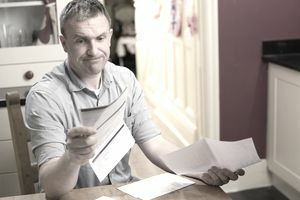 You can also manage direct deposits, address changes, and file Notices of Objection for disputed returns. For individuals, details from your account or a previous assessed return, notice of assessment, etc. Note that the earliest you can expect information to be available via Telerefund or TIPS is mid-March (if you filed before mid-February). Otherwise you need to wait at least four weeks if you filed between mid-February and mid-April. If you filed after mid-April wait at least six weeks to call. Your contact information has changed. If the Canada Revenue Agency needs to get in touch with you to verify some information on your return and does not have your up-to-date contact information it will take longer to process your return. Errors on your return. Misreporting income or expenses can delay your return and put you at risk of an audit by the CRA. your tax history (for example if you have if you have been previously reassessed, or penalized). During a review the CRA may request documentation in support of your claims. Your return is in error and instead of a refund you have a balance owing or you have a balance owing from previous years. Will You Get the Refund You Expect?